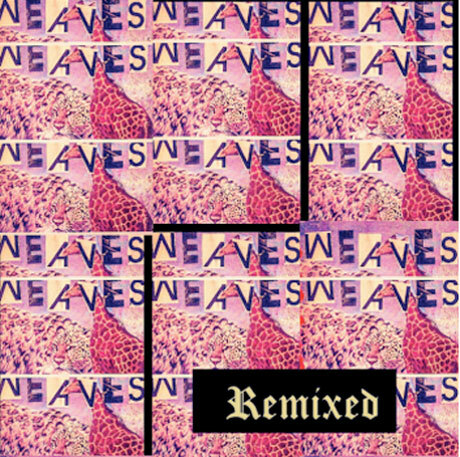 Weaves are relative newcomers, having released their self-titled debut EP only just this spring, but the Toronto art rockers have already been treated to a remix collection. The simply titled Remixed will be out on July 29 through Buzz Records. Remixed features an overhauled version of each of the six cuts from the aforementioned debut EP. Each one is by a different artist, with contributors including Beta Frontiers, Babe Rainbow, David Newfeld and more. The tracklist is below. Scroll past that to hear Beta Frontiers' twinkling, groove-laced take on "Motorcycle." If you're suitably impressed, the EP can be pre-ordered on Bandcamp.